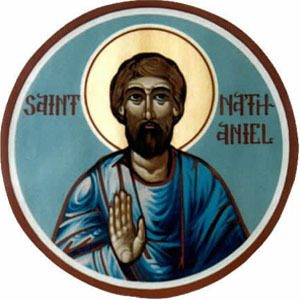 The identity of Nathaniel is a problem since he is not mentioned as a disciple in the synoptic gospels. Usually he is identified as Bartholomew based on the order of the apostles in the Synoptics. (Bartholomew always follows Philip in the lists.) Bar-Tholami is the from of the name in Aramaic, meaning “son of Tholami,” therefore his full name was likely Nathaniel Bar-Tholami (cf. Simon Bar-Jonah). John seems to treat Nathaniel as an apostle, and he never mentions Bartholomew, making the identification quite likely. When Philip declares that he has found the Messiah, he describes Jesus in biblical terms: Jesus is the one whom Moses wrote about in the Law and the Prophets wrote about (John 1:43-45). That the Law and the Prophets testify to the messiah is clear from other New Testament texts. Early on the apostles drew together a number of texts which were proofs that Jesus was the Messiah, but their source for much of this material is Jewish thinking about what to expect in the Messiah. Nathaniel’s response is stunning: “Can anything good come from Nazareth?” (1:46) This seems a rude statement of prejudice, probably because Nazareth was a rather small and insignificant town in Galilee. It is true both towns were small and insignificant, but what should Nathaniel have said? Presumably he ought to have recalled that the Messiah was to come from Bethlehem, according to Mi 5:2; or that he should be in the line of David from Psalm 2, or that he will be a king of Israel as in Zeph 3:15, or that he will come as a peaceful king riding a donkey, as in Zech 9:9. But not that he will be a carpenter form Nazareth! Is this an irrational prejudice? Most likely, and it is this sort of prejudice which blinds people to the gospels – how can someone like that possible have something to share with me spiritually? Perhaps we do not suffer from a prejudice, but other people might very well have a real problem with us and will not hear the gospel because we are overplaying a less important issue rather than helping people to encounter Jesus. In Nathaniel’s case, prejudice does not prevent him from coming to faith in Jesus. He is able to set aside his preconceptions and encounter Jesus as he really is – the Son of God. When Jesus arrives he declares that Nathaniel is an “Israelite in whom there is no guile.” The background to this equally puzzling statement is the story of Jacob. Jesus might as well have said, “here is a son of Israel with no Jacob left in him!” Just as the true heir of the promise was Jacob, not Esau; the true heir of the promise in John are the disciples, not the Pharisees, etc. That there is a bit of play on the Jacob story is also clear in the reference to “heaven opening” and angels ascending and descending. Essentially Jesus is saying that Jacob is a true Israelite, a man who is honestly seeking his God and is not distracted by the Works of the Law (Romans 2:28-29, 9:6-7) In John 8:31 Jesus says that if the disciples abide in his words they will truly be his disciples, the same word is used as 1:47. Nathaniel is a True Israelite, and if the disciples really understand and internalize his Jesus’ words they too will be True Israel. 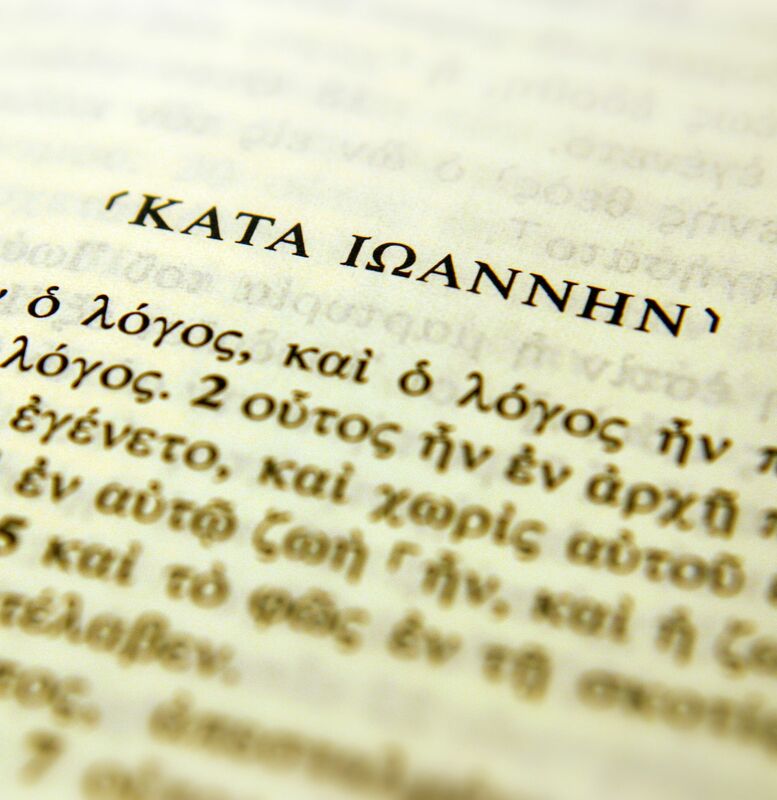 The differences between John and the Synoptics provide an opportunity for scholars to study the formation of a gospel from a different angle. 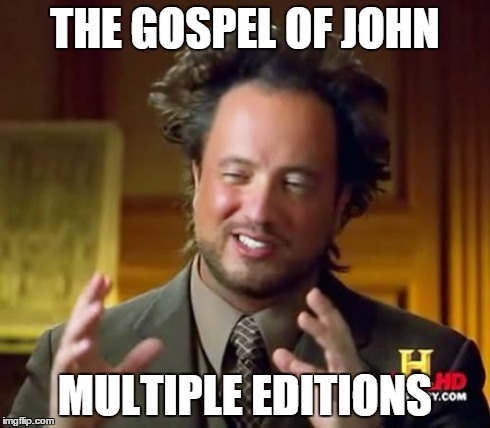 John may have used other Gospels, or purposefully ignored them. Often complicated scenarios are created in order to describe multiple versions of the Gospel of John. Raymond Brown suggested a plausible multiple edition theory to explain how John’s gospel developed over a period of time. In most “multiple editions” theories there was a single base document which underwent several revisions, possibly at the hand of the original author, over a number of years. Brown’s first stage was the actual public ministry of Jesus and his disciples. After the resurrection, the twelve apostles publicly preached the resurrection of Jesus. The synoptic gospels reflect this apostolic preaching. The tradition that Mark preserve the preaching of Peter may indicate that the outline and content of the book as the content to of the apostolic “trust.” Matthew and Luke make use of Mark, and possible Q (or Matthew has the Q material, either way, Matthew and Luke reflect the Galilean disciples of Jesus). According to Brown, John reflects the preaching and teaching of the disciples of Jesus in and around Jerusalem. This accounts for the different sorts of information that was remembered and passed along, for differences in tone and language, for the emphasis on Jerusalem and the Jewish festivals, and possible (so says Brown), the Light / Dark theme that is parallel to what we read in the Qumran materials. But relationships between these Jews and Samaritans would have been tense. Discussion of Jesus as Messiah generated a number of “homilies” preserving Jesus’ teaching as attempts to convince Jews he was the Messiah. It is possible that some time before A. D. 70 these Jewish Christians were expelled from the synagogue, ostracized and persecuted (as implied in John 1:11, 10:28-29; 15:18, 16:2 and the “not of this world” theme in 15:18, 16:3, 16:33). The Gospel of John therefore could be aimed at Jewish Christians that are still in the synagogue (“crypto-Christians” in Brown) who are not fully “Christian” in the opinion of the author. They need to come out and be separate from the Synagogue. A second aim would therefore be to continue to try and convince Jews and Jesus was the Messiah. Brown’s work is well-respected and is always discussed in recent study of the Gospel of John, but it does not appear this scenario has convinced everyone, as Paul Rainbow comments in his recent introduction to Johannine Theology, scholars “amass tomes trying to squeeze theories from the almost dearth of information that we have about unknown authors and redactors” (53). Nevertheless, there is something to Brown’s contention that the Gospel of John is a kind of reflection of the “parting of the ways” between Judaism and Christianity in the last third of the first century. This accounts for the Jewishness of John’s Gospel while also reflecting a fairly well-developed Christology. If this Gospel is some kind of a Jewish-Christian missionary tract, how would our reading of John change? Are there specific elements in John that are more “Jewish” than often assumed? It is well known that the gospel of John is considerably different than the other three Gospels. One of the reasons that the Gospel of John seems so different is that the three synoptic gospels are so similar. Because of the similarities between Matthew, Mark, and Luke some theory of literary dependence must be given to explain the close relationship. For example, there is no birth, baptism or temptation in John. While Jesus does seven miracles, they are called “signs” and there are no exorcisms. There are no parables, despite Mt 13:34 and Mk 4:34 which indicate that Jesus primarily spoke in parables in the second half of his ministry. There are several extended dialogues which have no real parallel in the synoptic gospels. Jesus does not re-interpret the Mosaic law, as in the Sermon on the Mount, nor does he predict the fall of Jerusalem (cf. Mark 13 and parallels.) In fact, there is no prediction of a second coming in John, although Jesus does promise to send the Paraclete to the disciples after he returns to heaven (14:25-26, 16:7-15). The Last Supper is not described as an ongoing celebration, rather, John describes Jesus washing the feet of the disciples (13:1-16). While the arrest and crucifixion is described in similar ways to the synoptic gospels, there is no agony in the garden of Gethsemane. I am following Andreas J. Köstenberger, A Theology of John’s Gospel and his Letters (Grand Rapids, Mich.: Zondervan, 2009). Köstenberger follows B. F. Wescott’s observation that John’s Gospel was written after the success of the (Pauline) Gentile Mission, after the destruction of Jerusalem, and at the same time as the emergence of Gnosticism as competitor to Apostolic Christianity. For Köstenberger, the Fall of Jerusalem is the most important factor. I am sure that the rise of Gnosticism is a major factor, but I am not sure that the success of the Gentile mission is as much of a factor than sometimes assumed. John wrote the gospel some thirty years after the death of Paul, from Ephesus, the city where Paul had his most success among Gentiles. Yet the Gospel has very little to say about Gentiles. 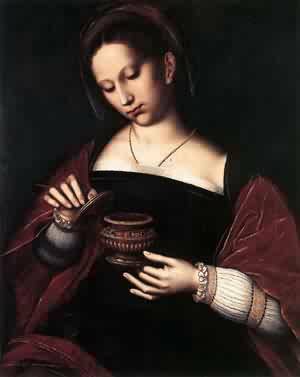 The Samaritan Woman (John 4) is a possible example, but Samaritans are a in many ways neither Jew nor Gentile. 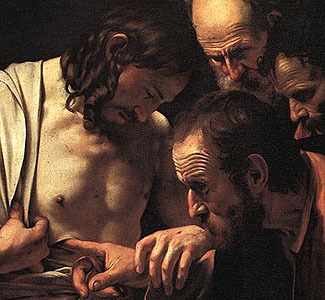 The healing of the official’s son in John 4:46-54 is sometimes offered as an example of a Gentile who encounters Jesus, but if he is John certainly does not make this explicit. On the one hand, the Gospel is evangelistic. John wrote to Jewish readers who might be open to Jesus as an alternative to the Temple and the festivals. But there are a few stories which are could be described as drawing Gentiles to Jesus. The story of the blind man who is healed in John 5 may show that Jesus is superior to Asclepius, a Roman god of healing. Given the number of allusions to the Hebrew Bible and the importance of the Jewish story of redemption, it is clear that the main target of the Gospel is Jewish. On the other hand, the Gospel is apologetic. John wrote to Christians (either Jewish or Gentile) in order to clarify who Jesus was as an answer to growing questions raised by developing Gnostic theology. There is a serious theological challenge developing in the church, John must address this as insufficient for explaining who Jesus was. John describes Jesus as the Word, equal with God because he is God. But Jesus is also flesh, fully human. These two facts are stated in the prologue and supported throughout the Gospel of John. The Gospel of John is therefore a window into the end of the apostolic era. Christianity was making progress against paganism, but needed to to develop a theology of Jesus in the face of an internal challenge. Can we draw other implications from the differences between John and the Synoptics? It is the time of year to be thankful, and I am thankful that I have an extra copy of Michael Bird’s new book, The Gospel of the Lord: How the Early Church Wrote the Story of Jesus (Eerdmans, 2014) to give away to some lucky reader of this blog. This is a new copy; mine is well read, marked and dog-eared by now. I will send a clean copy to a reader of this blog. There are no geographical limits here, although I am hoping someone from Antarctica does not win. I plan on posted my review of the book in a few days, but for now let me say this is a nice introduction to several related topics at the foundation of Gospels studies, touching on related by diverse topics like Oral Tradition, Source Criticism, and the Genre of the Gospels. Each chapter has an excursus which digs a little deeper into some aspect of the chapter, so it is like getting two books in one. I highly recommend the book as an introduction to Synoptic Gospels study. To have a chance at winning these books, leave a comment telling me what Famous Gospels Scholar you are most thankful for this Holiday season. Or at the very least, leave your name. I will announce the winner picked at random on December 1. Thomas was not with the disciples when Jesus first appeared after the resurrection. We are not told why and it may not be important. But while the other ten were locked in the upper room out of fear, Thomas was someplace else. Thomas seemed ready to die with Jesus in John 11, so it may be the case that he is willing to go about his life, almost daring the Jews to arrest him too. On the other hand, perhaps Thomas experienced a “crisis of faith” when Jesus died. If he believed Jesus was the Messiah and that the Messiah was not going to be crucified by the Romans, perhaps Jesus’ death caused him to doubt everything. He may be in a state of denial, like Peter, but deeper. Whatever the case, he returns to the upper room the disciples tell him that Jesus is alive. Jesus is “more than alive,” he has risen from the dead to a new kind of life. Whatever the reason, when he is told that Jesus rose from the dead, he refuses to believe without further evidence. Thomas gets a bad reputation as a skeptic for not believing what the disciples told him. On the other hand, there is virtually nothing in Second Temple Period Judaism that anticipated the death of the Messiah not his resurrection to eternal life. It was something which Thomas was not ready to believe since it was unbelievable within his world view. The disciples are making an extraordinary claim, that the messiah intended to die and rise to eternal life. This will require them to re-think virtually everything that they believe. When Jesus appears in the midst of the disciples a second time, Thomas believes and confesses Jesus as “Lord and God” (v. 28). Thomas’s confession is a theological statement for the whole book of John. The writer has been slowly revealing who Jesus is through a series of misunderstandings, people hear Jesus’ words but do not fully comprehend his meaning. Even after the resurrection, Mary thinks Jesus’ body was stolen, then the disciples wonder if he ever really died. Even when he appears to them, they still do not confess Jesus quite the way Thomas does in v. 28. John therefore intends Thomas’s words as a final word on who Jesus is: he is the “Lord and God” of the reader, and that by believing that he is the Lord one can have eternal life in his name (verse 31). Are there other ways in which Thomas’s faithful statement functions like a theological conclusion to the Gospel of John? According to John 20:1, the first witness to the resurrection is Mary Magdalene, who visited the tomb very early on Sunday morning. Who is this Mary? 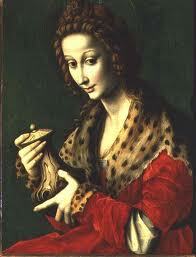 The name “Magdalene” indicates she was from a town in Galilee, Magdal about a mile north of Tiberias. The name means “tower” and is called “fish tower” in the Talmud, perhaps indicating that it was associated with exporting fish from Galilee. The town may have been as large as 40,000 in the first century and predominantly Gentile (ABD, 4:579). According to Luke 8:2 Jesus healed Mary “from seven evil spirits,” otherwise she only appears in the resurrection stories in Matthew and Mark. Luke only says that demons went out of her, but it safe to assume that Jesus was the exorcist. According to a sixth century tradition, Mary was the sinful woman in Luke 7:36-50 (and Mary of Bethany, John 11:1-12:8, Luke 10:38-42). This is possibly due to the fact that Magdal had a reputation for as a sinful town in Midr. Lam 2:2. It is possible that a Jewish woman living in a Gentile town was there to work as a prostitute, although there is no reason to assume that is the case. There is nothing in the Bible to support the idea that she was a prostitute or adulterous, only that she had been demon possessed. Mary has become popular in contemporary culture as a female disciple of Jesus on the same level as Peter and the Twelve. The real problem for this view is that the New Testament does not present her as part of the inner circle. These popular readings of Mary are based on Gnostic literature, include the Gospel of Peter and the Coptic Gospel of Thomas (both date to about A.D. 200) and the Gospel of Philip (third century A.D.), which describes Mary as the disciple whom Christ loved more than all the others. There is a longstanding Gnostic tradition that Jesus and Mary had a romantic relationship and that they were secretly married and had a child. This child begins a kind of “Jesus dynasty,” a secret line of Jesus which existed for centuries. This sort of thing turns up in the Da Vinci Code and other conspiracy-mined entertainment. There is little evidence for this, what evidence does exist is strained at best. Still it is remarkable that this woman is the first to visit the empty tomb in John’s gospel. Since it is still early in the morning, Mary cannot see into the tomb, only that the stone has been moved away from the entrance. She assumes that the body has been disturbed, perhaps that the tomb has been robbed. She returns to the place where Peter and the others are staying, presumably the upper room) and reports that the tomb has been opened. If one were to invent the story of the resurrection, Mary would be a poor choice for first witness to the empty tomb. As a woman her testimony would be questioned, and even in the story as we read it in John, she misunderstands what has happened and assumes (as most people would) that someone has moved the body of Jesus, likely to prevent the disciples from venerating the tomb of their prophet. What are the ramifications of the “first witness” being a woman with a potentially tarnished reputation?